Today is the day of Apple’s Big event. Faithfuls of the Apple Cult will for the next 4 days congregate in San Franscisco for this year’s WorldWide Developer’s Conference. The conference will begin today with a keynote where Apple will make major announcements and set the stage for the remaining 4 days of WWDC. Last year during the WWDC 2014, Apple announced among other things the the OS Yosemite with notifications and widgets besides adding new features such as the spotlight feature as well as updates to its Safari Browser. During the conference, changes were also announced to iOS 8, adding iCloud integration, spotlight search powers as well as quick type predictive keyboard. 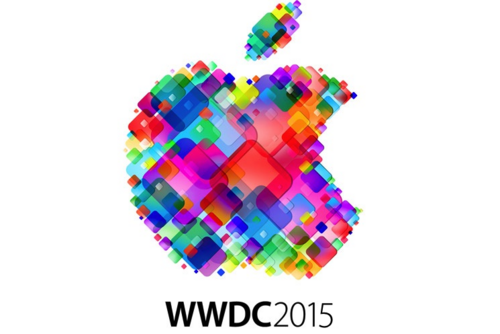 So, what do we expect from this years WWDC? Apple is likely to introduce OS X 10.11 for Mac and iOS 9 for its mobile operating system. The new iOS 9 which, looks a lot like iOS 8, comes with beefed up security and additions to Maps. iOS 9 will also feature Proactive, set to replace Spotlight Search set to rival Google Now and Cortana. Proactive will work seamlessly across all of Apple’s services by leveraging the power of leverage Siri, Contacts, Calendar, Passbook, and third-party apps. The new service will provide information based on the user data and usage preference patterns and still uphold the privacy of the user. OS X 10.11 will provide new security features, bug fixes and improve on stability of the OS. Last year, Apple launched its Apple Pay service. Apple is keen on keeping users on to the service and is set to introduce a reward scheme for those who use the service for both apps and making purchases at stores. Apple is also likely to announce the expansion of the service to different countries as well as announce if it has secured new partners into the service. Last year, Apple acquired Beats Electronics and Beats Music for $3 Billion from co-founders Dr. Dre and Jimmy Iovine. The value proposition was in the Beats Music streaming service which was meant to bolster Apple’s struggling iTunes Radio. The new service set to be launched will include a new subscription service, downloads and a revamped version of iTunes radio. Apple is also set to showcase a software development kit that allows developers to write apps for the Apple Watch directly as well as access the device’s sensors. Currently, Apple Watch apps run on a paired iPhone, projecting extensions for the Apple Watch for users to access them. The native apps will launch to users later this year. The event kicks off at 8:00 PM Kenyan Time and expects us to break-down the big things for you.